In today’s day and age posting a negative review is at the tip of the customers fingers. One slip up and that review can directly affect your business. Your sales and business rep go hand in hand, therefore, without a good reputation your sales are bound to decline. For instance, it was found in a Moz study that companies can lose 22% of their business if customers find one negative review within the search results. This number can increase to 59% if three negative articles are found. Finally this can increase to a whopping value of 70% if four or more articles are detected. But don’t worry, mistakes happen and there are a few steps you can take to manage your online reputation. First let’s start by defining what reputation management is. Reputation management is essentially controlling your business’s presence to provide the best image in the face of customers. 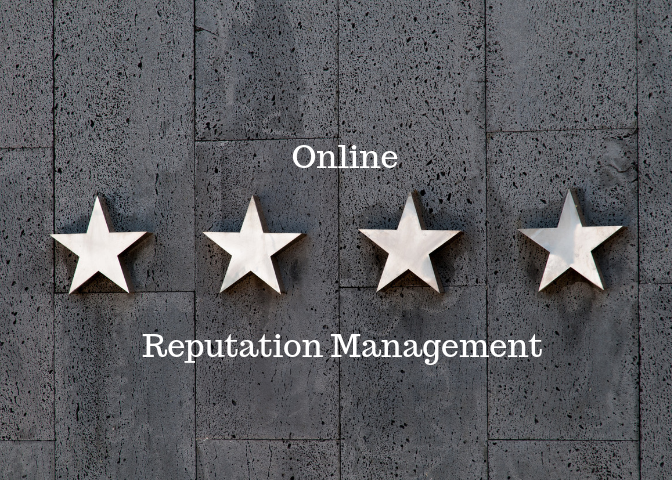 Specifically with online reputation management, this means controlling top search results. This is important because of the importance customers place on online reviews. For example, one survey found that after reaching out to friends and family for recommendations, the second most popular source used to decide whether or not to go into business with a company were online reviews. Depending on the type of damage done to your business, you can utilize a few of the top techniques utilized by online reputation services. First and foremost, you can start by requesting the removal of false negative reviews. This can be done by reaching out to the platforms (i.e. Facebook, Yelp, Twitter) the review is found on and explaining your side of the story. You can also encourage your customers to leave positive feedback in order to populate your social media pages. Second you can establish your business’s brand as a legitimate company on social media. By regularly updating your business’s social media pages it shows that your company is knowledgeable and has a solid foundation. Third, you can be honest. As stated above company’s make mistakes and the best way to address this is to take responsibility by being as transparent as possible. Finally, you can hire an online reputation company to manage your accounts. Reputation management is not easy because it requires being incredibly vigilant with monitoring and updating your online presence. By using an outside company, you are to focus on the business of running your company.